I nearly ran out of time to join in the Color Challenge over at The Card Concept, luckily today I had some time to be creative as the linky ends tomorrow! That was close! 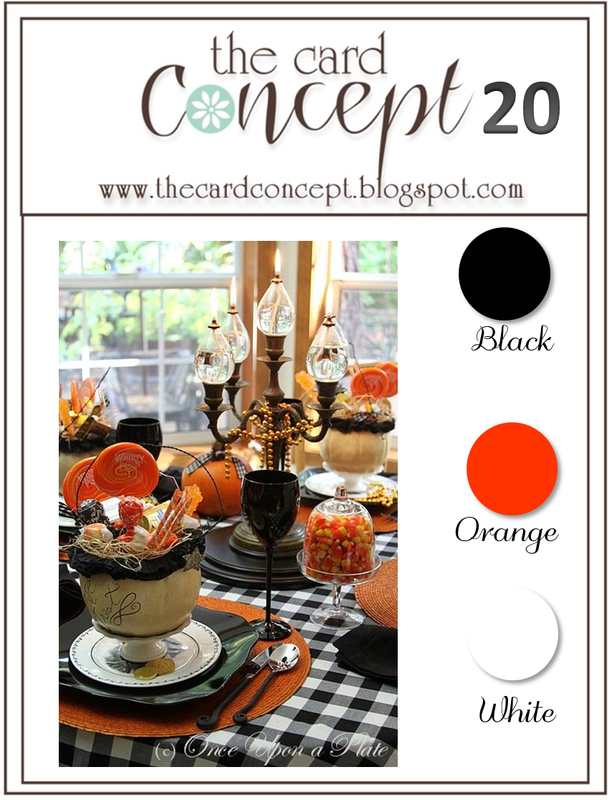 I love Halloween colors, but I opted to think outside the box and create a birthday card instead. I would think this card qualifies for Clean and Layered! I was also inspired by this card by Erin @ Erin taylor Designs. Isn’t it GORGEOUS? I have been eyeing this card for months now and finally did something about it! I also tried my hand at sketching with a black pen around my stamped images and I say for the first time I did okay! The flowers and leaves are from SU-Stippled Blossoms and the butterflies are from the SU- Papillon Potpourri. The sentiment is something I picked up at Michaels eons ago. I put a piece of Washi tape on the backside of my vellum so that the word celebrate would be more visible. Heat embossed my sentiment and added some black hemp and some SU dots. Categories: Cards | Tags: Birthday card, Card making, Cards, color challenge, Happy Birthday, rubber stamps, stamping | Permalink. You are certainly outside the box on this one and it is beautiful! Love those gorgeous flowers and the lines you drew around them. The vellum adds a little softness. OMgosh! I love this! Excellent card! 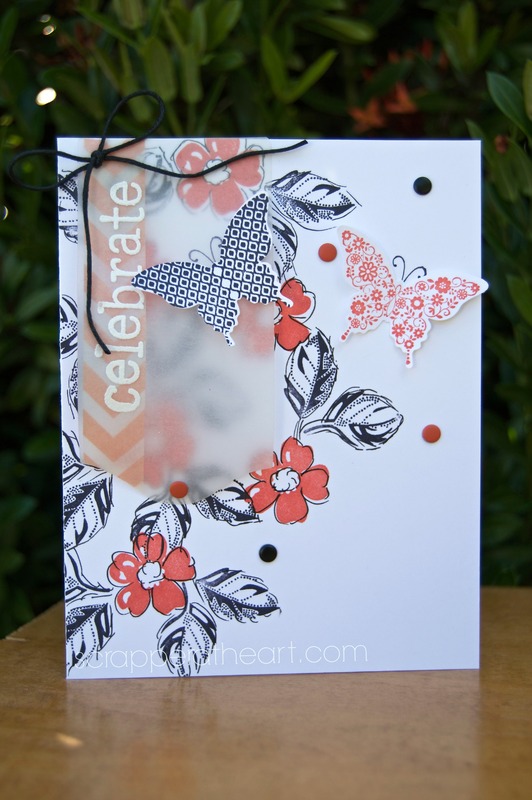 I LOVE the hand drawn image look — I still need to try this – I just love the look! I love the pretty colors you chose for your card. I love your beautiful card. Great job with the colors. Love how you did the pen sketching around the stamped images. So elegant and beautiful card! This is so outside the box idea! Thanks for playing with us at the Card Concept! this card is so gorgeous! I love the colour combo with the flowers. just stunning! thanks for playing at the card concept! Your CASEd card is gorgeous! Thank you so much for leaving a comment on my blog… I love finding new blogs and your is fantastic! Thanks sooo much Erin….feel the same about your work too!!! Fabulous! Love the vellum panel. Beautiful!! 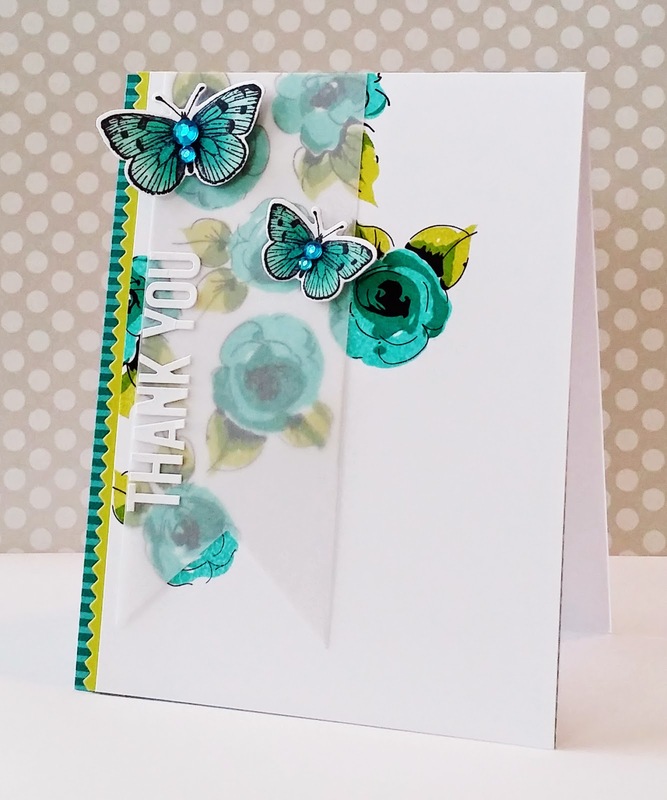 Love that vellum piece…adds such an ethereal layer to the card. Gorgeous card! I love how you’ve cased the original but made it totally yours! Oh, how pretty. Love the color combo, the sweet flowers… the butterfly looks great. Also love the vellum banner.